A biopic on the late South African singer and civil rights activist Miriam Makeba is in the works with the Miriam Makeba Estate, Miriam Makeba Foundation and Mama Africa Cultural & Social Trust. Suzanne de Passe, who wrote the Billie Holiday movie “Lady Sings the Blues,” and her long time business partner, Madison Jones of de Passe Jones Entertainment, are producing the untitled movie. The story of Miriam Makeba, one of the most important voices in South Africa’s transformation from apartheid to the presidency of Nelson Mandela, is being turned into a feature film by Suzanne de Passe (Lady Sings The Blues) and Madison Jones of de Passe Jones Entertainment. Also producing is Broadway producer Willette Klausner, music producer David Franco and Makeba’s former publicist and confidant Marc Le Chat. For nearly half a century, Grammy-winning South African singer Miriam Makeba—known to fans as “Mama Africa”—traveled the world with powerful songs of joy, love, and revolution that have resonated in the hearts of people across the world. 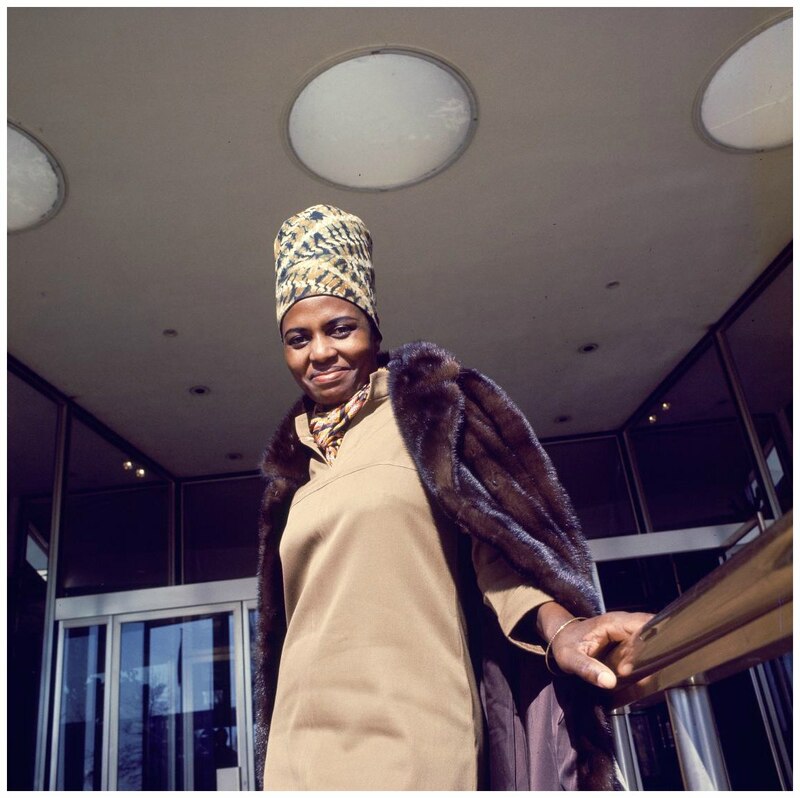 Against the disharmonious backdrop of Apartheid and international liberation movements around the world, Makeba’s captivating melodies exposed the brutality and racism of the South African government and made her an early icon of Black freedom. 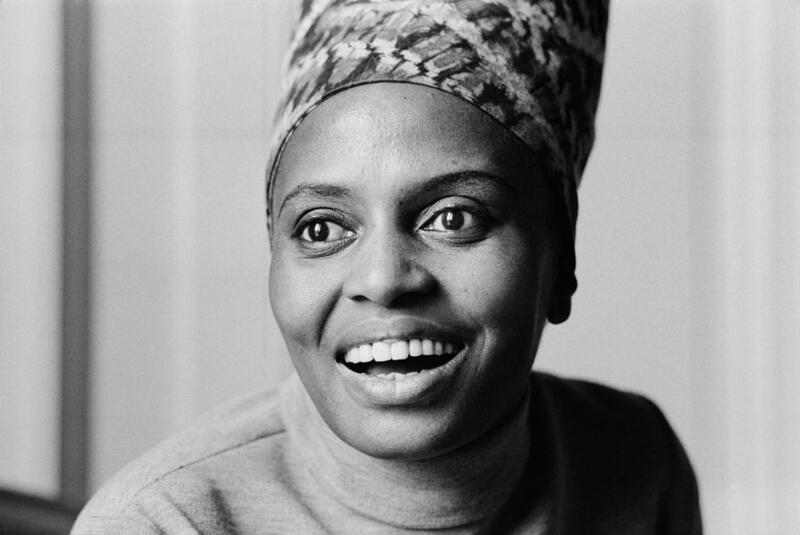 Exiled from her homeland for nearly 30 years, Makeba moved to the US, but her controversial marriage to Black Panther Stokely Carmichael left her with revoked US record deals and cancelled national tours. In protest of an American brand of racism, Makeba moved to Guinea, where she continued her activism and leadership as the first black female representative to the United Nations. Makeba died of a heart attack on November 9, 2008 after performing at a concert in Italy organised to support writer Roberto Saviano in his stand against the Camorra, a mafia-like organisation local to the region of Campania. She was 76 years old. Makeba was one of South Africa’s most popular entertainers and an outspoken opponent of the apartheid government. A biopic on late South African singer and civil rights activist Miriam Makeba is in the works. Makeba was an outspoken advocate against South Africa’s apartheid and was one of Africa’s most popular musicians in the 50s. A biopic on the late South African singer and civil rights activist Miriam Makeba is in development with the Miriam Makeba Estate, Miriam Makeba Foundation and Mama Africa Cultural & Social Trust, reports Variety. Suzanne de Passe, who wrote the Billie Holiday film “Lady Sings the Blues,” and her long time business partner, Madison Jones of de Passe Jones Entertainment, are producing the untitled movie, which will follow the singer’s emergence as one of the key voices against apartheid. Eight years ago, the world lost the legendary Miriam Makeba. The late South African singer and civil rights activist who was nicknamed Mama Africa will be honored in a biopic that is still in its early stages. Currently unnamed, the film is expected to surpass past attempts at retelling Makeba’s story. While very few details on the biopic have surfaced, we do know it will be produced by de Passe Jones Entertainment‘s Suzanne de Passe (the woman responsible for penning the script to the 1972 Billie Holiday film Lady Sings The Blues) and her business partner. LOS ANGELES --(SPW)-- The life story of Miriam Makeba, who was among the most important voices in South Africas transformation from the oppression of apartheid to the democratic presidency of Nelson Mandela, is being brought to the screen by a team of film, television, music and Broadway producers, who are working in collaboration with the Miriam Makeba Estate, Miriam Makeba Foundation and Mama Africa Cultural & Social Trust. The life of South African singer and activist Miriam Makeba is headed to the big screen, Variety reports. The film will be a combined effort between the Miriam Makeba Estate, Miriam Makeba Foundation, and Mama Africa Cultural & Social Trust. Suzanne de Passe (“Lady Sings the Blues”) and Madison Jones of de Passe Jones Entertainment are producing. Het levensverhaal van de Zuid-Afrikaanse zangeres en anti-apartheidsactiviste Miriam Makeba wordt verfilmd. De nog titelloze biografische film wordt gemaakt in nauwe samenwerking met de Miriam Makeba Foundation. Makeba werd in de jaren vijftig bekend als jazzzangeres. In 1967 scoorde ze een wereldhit met het nummer Pata Pata. Een jaar ervoor kreeg ze een Grammy voor een plaat die ze samen maakte met Harry Belafonte. The fictionalized feature film is the brain child of Suzanne de Passe and longtime business partner, Madison Jones, in partnership with the Miriam Makeba Estate, Miriam Makeba Foundation and Mama Africa Cultural & Social Trust. La chanteuse sud-africaine Miriam Makeba va faire l’objet d’un biopic, huit ans après sa disparition, rapporte le site Variety. Elle était l’une des plus grandes voix que le continent africain avait connue. Miriam Makeba, artiste sud-africaine célèbre autant pour sa musique unificatrice que pour son activisme social, aura porté sa voix jusqu’au dernier souffle. Film blog Variety recently reported that The Miriam Makeba Estate, Miriam Makeba Foundation and Mama Africa Cultural & Social Trust will be working on the biopic of the late South African singer and civil rights activist, Miriam Makeba. Deadline has reported that Makeba’s biopic is currently being made. 2016 marks eight years since the passing of the singer and civil rights activist. 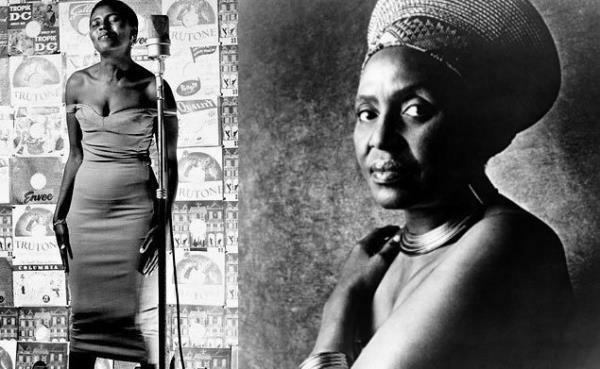 The life and legacy of Makeba was explored in Mika Kaurismäki’s 2011 documentary, Mama Africa. The Miriam Makeba Estate, Miriam Makeba Foundation and Mama Africa Cultural & Social Trust are involved in the creation of the biopic, which doesn’t have a title yet. THE Sisters in Song show, which honours the late Miriam Makeba, takes place on Sunday at the Nelson Mandela Theatre in Johannesburg. The spectacular musical celebration of Women’s Month features legends and icons Dorothy Masuku and Abigail Kubeka. The story of the late great South African musician & activist, Miriam Makeba, is set to be turned into a feature film. The film will produced by de Passe Jones Entertainment‘s Suzanne de Passe in collaboration with the Miriam Makeba Estate, Miriam Makeba Foundation and Mama Africa Cultural & Social Trust. de Passe wrote the script for the 1972 Billie Holiday film titled Lady Sings The Blues. Broadway producer Willette Klausner, music producer David Franco and Makeba’s former publicist and confidant, Marc Le Chat will also play a part in the making of the film. This month marks eight years since the world lost one of its most important voices, “Mama Africa” Miriam Makeba. 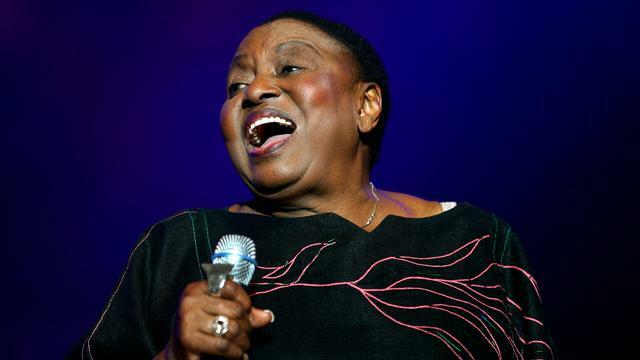 And although the life and legacy of the late South African singer, activist and icon were explored in a 2011 documentary (Mika Kaurismäki’s Mama Africa), the film community has yet to pay proper tribute to Makeba. Following the inspirational and award-winning documentary – titled Mama Africa – of iconic South African musician Miriam Makeba – popularly known as Mama Africa by her fans, a fictionalized feature film about the life and times of the legend is in the works, hailing from Suzanne de Passe and longtime business partner, Madison Jones of de Passe Jones Entertainment, in partnership with the Miriam Makeba Estate, Miriam Makeba Foundation and Mama Africa Cultural & Social Trust. Also on the team are Broadway producer Willette Klausner; music producer David Franco; and journalist Marc Le Chat, Makeba’s long-time publicist and confidant. The Joburg Theatre was the place to be on Sunday evening. 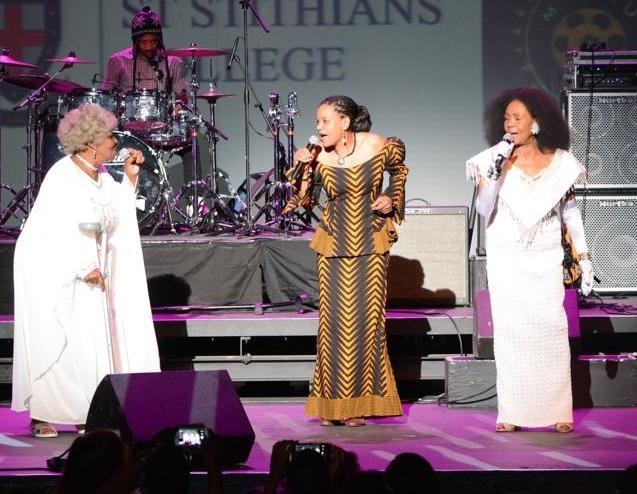 The place came alive after Miriam Makeba’s granddaughter, Zenzi Lee, and Mzansi’s two legendary mamas, Dorothy Masuka and Abigail Kubeka, took to the stage. This was during the one-day tribute show in honour of the late Miriam Makeba. The show was also part of Women’s Month celebrations. South African singer Miriam Makeba will be the object of a biopic, eight years after her death, Variety reports. She was one of the greatest voice the African continent has ever known. South African artist Miriam Makeba, known as much for her unifying music as for her political activism, would have used her voice until the last breath. While on stage during a performance in Italy back in 2008, the one who was nicknamed Mama Africa was brought down by a heart attack, leaving behind her a life filled with twists and turns. So it’s no surprise that, eight year after her passing, the possibility of a movie about her life finally sees the light of the day. Screening followed by reception sponsored by the Chicago South African Consulate! Miriam Makeba was one of the first African musicians who won international stardom and whose music was always anchored in her traditional South African roots. Miriam Makeba was forced into exile in 1959. She sang for John F. Kennedy, performed with Harry Belafonte and Nina Simone, was married to Hugh Masekela and also Stokely Carmichael. Joburg Theatre & the Miriam Makeba Foundation present a one day tribute show on Sunday, 28 August in honour of the late Dr. Miriam Makeba. Legendary mamas Dorothy Masuku and Abigail Kubeka, supported by Zenzi Makeba Lee (granddaughter of the legendary Miriam Makeba,) aim to deliver a riveting nostalgic experience. In the pantheon of nightingales that emerged in the forties and fifties – jazz’s golden age – Dorothy Masuku’s name looms large, second only to blues queen, Dolly Rathebe. Miriam Makeba was the third in line as a singer who was blessed with a vocal artistry and stage charisma that challenged the patriarchal views that women belonged in the home and had no place in the world of entertainment.